Fancy adding a little tech to grab your visitors attention and up engagement rates? Good shout! We have over 15 years experience designing and producing interactive exhibition stands for business and education applications, working for a variety of clients and business sectors. We work together with our clients to create innovative multimedia presentations, working within budget and delivering on time. Whether for display on a touch screen, embedded in a web page, part of a POS display or screened live to an audience, our presentations always grab the viewers’ attention. Our product specialists work closely with partners to provide the best possible solution, including product assessments, mounting/hanging solutions and processing. We review and witness test all LED products at the factory, building and testing them thoroughly. Our tech team are available for set-up and calibration of the LED display including mounting or hanging. Once the project is completed we will support the LED’s whilst out on site. 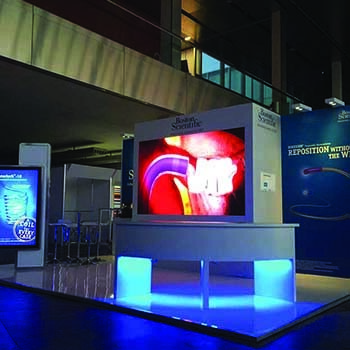 We can transform a static exhibition stand into a fully interactive audio-visual experience. 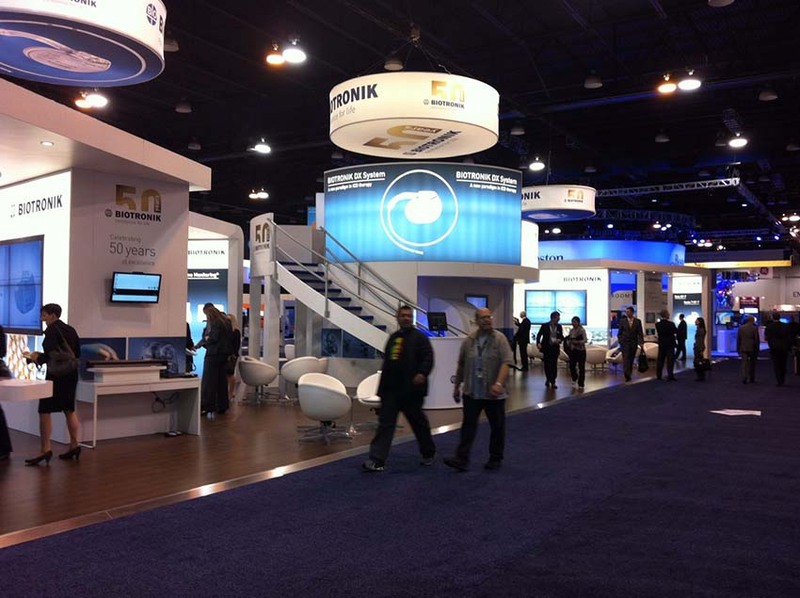 Why settle for a standard display when you can be the star of the show, it’ll be sure to attract people to your stand.